​The relegation battle is heating up with just two points separating ​Southampton and Cardiff City at the wrong end of the Premier League table ahead of Saturday's crucial match. Southampton have improved since Ralph Hasenhüttl replaced Mark Hughes at St Mary's Stadium in December and are unbeaten in the league since December 30. After a devastating fortnight off the field, Cardiff's 2-0 win over Bournemouth last weekend was the perfect start to February for Neil Warnock and everyone connected to the club. The 70-year-old manager was in tears at full time as tributes to Emiliano Sala rang around Cardiff City Stadium. 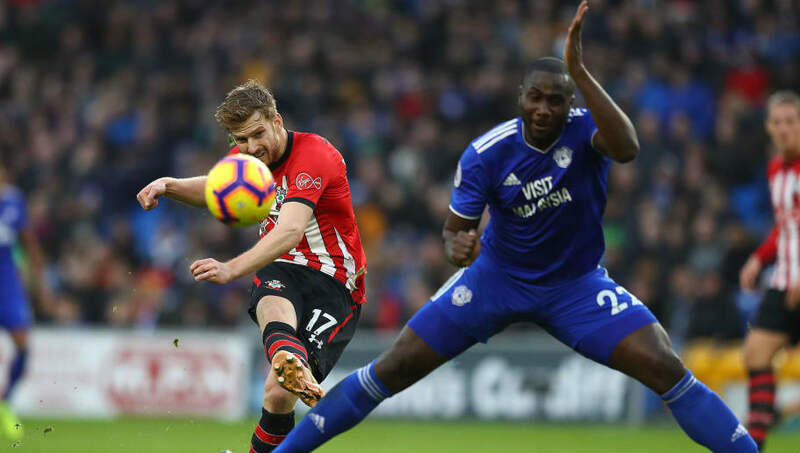 A win for the Welsh side would see them overtake Southampton, but a Saints win would open up a five-point gap between themselves and the relegation zone. The Saints' only injury concern is midfielder Mario Lemina, who has missed seven games with an abdominal strain, but Maya Yoshida returns following the conclusion of the Asian Cup. Danny Ings and Nathan Redmond have generally been preferred to Charlie Austin and Shane Long up front, and the Saints' boss has provided opportunities to several academy products since his appointment, such as 19-year-olds Yan Valery and Callum Slattery. Neil Warnock will welcome back Harry Arter after missing the Bournemouth match as he was ineligible to face his parent club, as well as Victor Camarasa - Cardiff's standout midfielder this season - who could return to the squad following a three-match absence with injury. Captain Sean Morrison has also missed the previous three games, which has moved Bruno Ecuele Manga into a central position and given Warnock the option of Lee Peltier, Greg Cunningham or even versatile January signing Leandro Bacuna at right-back. The Bluebirds have a marginally better record in this fixture with 20 wins compared to the Saints' 19. A wonder goal from centre-back Juan Cala which earned the victory on their last trip to St Mary's in 2014 will be fondly remembered by the travelling Welsh fans. Hasenhüttl's first game in charge of the Saints was a 1-0 December defeat in Cardiff due to a defensive howler by Jannick Vestergaard and the German boss will be out for revenge on Saturday. Southampton's last win over Cardiff was a 3-0 away victory on Boxing Day 2013, thanks to a first-half demolition job from the then-England internationals Jay Rodriguez and Rickie Lambert. The Saints go into this potentially season-defining game on the back of two 1-1 draws, but supporters will feel disappointed that they didn't leave Burnley with all three points following Ashley Barnes' injury time equaliser last weekend. They remain unbeaten in their last five league games. Cardiff suffered a win-less January which included an exit from the FA Cup at the hands of League One's Gillingham, but began February with a significant victory over Bournemouth. Bobby Reid's brace created a five-point gap between themselves and Fulham, keeping City within touching distance of their relegation rivals. Southampton have become a tough nut to crack with Hasenhüttl at the helm, but have only recorded three wins from his 11 games in charge, drawing five. However, if Cardiff can show the same fight and spirit that got them over the line last weekend, it could be a memorable afternoon for the Bluebirds at St Mary's. It's likely to be a cagey affair with neither side wanting to slip up, but if either side can earn three points, the fight for Premier League survival will be blown wide open.